I’ve relocated (for the time being) to a cozy cottage in Goodland, FL. While working as a physical therapist at a local nursing home, I’m scrounging up all of my spare minutes to cook and design new recipes, photograph them (learning how to capture the light and the prana) of the food that’s about to go plate to palate. My mind is alive and buzzing with ideas and the only thing lacking is time. Alas, the Pitta mind at work. It’s a balmy 85 degrees down here in Goodland and to cool my Pitta self, I’ve concocted a Sprouted Chickpea Hummus complete with lemon (picked this morning from the tree behind the cottage) and toasted cumin. I enjoyed this light, creamy delight on toasted flatbread with a slice of avocado (also from a tree off my back porch). This recipe is inspired by Chef Johnny Brannigan’s Sprouted Chickpea Hummus recipe from “Eat, Taste, Heal”, a revolutionary Ayurvedic Cookbook. 1. Combine chickpeas, lemon juice, sunflower oil, black pepper, and cumin seeds in a blender until smooth. 2. Stir in carrots and parsley and add salt to taste. 3. 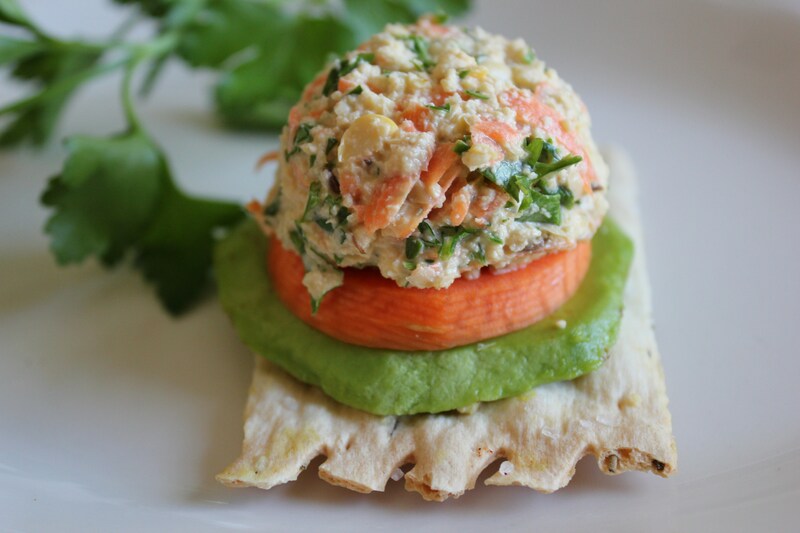 Serve with crackers or as a dip for carrot sticks and celery. * This recipe is recommended for Kapha, Pitta (without black pepper), and Vata in moderation.